A number of self-appointed leaders from Muslim groups in the United Kingdom have written to the editor of Britain’s Daily Mail, urging him to censor a satirical article by political commentator Richard Littlejohn, regarding the appearance of a known hate preacher at Legoland in Windsor. The letter, which called for the Mail “to retract Mr Littlejohn’s article and to issue an apology” is signed by the Secretary General of the Muslim Council of Britain (MCB). The MCB has previously “boycotted” Holocaust Memorial Day in Britain, and been roundly criticised for some of the public statements made by its representatives. He then went on to offer a satirical take on what the day might entail for attendees, such as: “Coaches leave for Legoland. Males and females to travel on separate coaches,” and, “All girls to report to the Kingdom of the Pharaohs for full FGM inspection. All boys to report to the Al-Aqsa recruiting tent outside the Land of the Vikings for onward transportation to Syria”. Mr Littlejohn may think he is humorous, satirical in fact. But there is nothing funny about inciting hatred. The language he deploys is exactly the same as those used by racists and the far-right. One needs only to peruse the comments below his article online to see the hatred against Muslims Mr Littlejohn has generated. Mr Littlejohn may suggest his words of hatred are directed at one figure rather than mainstream Muslims. This is a poor excuse. He accuses one figure of using hate speech by deploying hate speech himself. The claim however, is tenuous, as reports of far-right activity protesting Al-Haddad’s Legoland day were registered two days before Littlejohn’s article was even published. 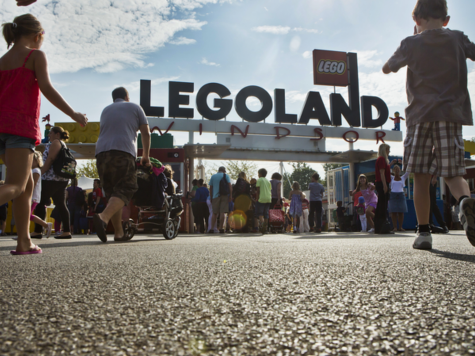 On February 16th, the Express reported that far-right nationalist groups were set to target Legoland in protest. Littlejohn’s article was posted to the Mail’s website on February 18th. Furthermore, critics will note that Al-Haddad himself – a man who supports the death penalty for apostasy from Islam – is more likely to cause “distress to the children present” than any far right protests taking place outside of the venue. The letter to Dacre has also been signed by Dr. Muhammad Abdul Bari, who was formerly the chairman of the notorious East London Mosque. Bari chaired the Islamic Forum of Europe, which is reported to have had ties to the political party Jamaat-e-Islami (JI), “the South Asian equivalent of the Muslim Brotherhood”.